Don and Scott look back on the last 5 years of podcasts and revisit the great guests and topics from 2016. This is our second annual holiday game show edition! We pinned the European Union against the East Coast of the USA.This year Andy Jones-Wilkins and Warren Pole rejoin with team mates Donna Ní Cuarta and Ashley Walsh. The Nation goes rogue and kicks it game show style. We adapt the 1970's game show, "100,000 Pyramid" to create a trail running version. Dr. Mihály Csikszentmihályi describes flow as being "completely involved in an activity for its own sake. The ego falls away. Time flies. Every action, movement, and thought follows inevitably from the previous one...Your whole being is involved, and you're using your skills to the utmost". Wow! How do we bottle that and release it on race day? AJW's article on Flow "The Pleasure of Flow"
Podcast with Phil Maffetone, "How can Rhythm Improve Your Efficiency?" Dr. Mihály Csikszentmihályi's book, "Flow: The Psychology of Happiness: The classic Work of How to Achieve Happiness"
AJW's mother's best selling book, "A Year by the Sea: Thoughts of an Unfinished Woman"
If you want to read ahead, here is the basis of an upcoming podcast on Vulnerability. Eric Byrnes retired from major league baseball with a batting average of .259, 109 home runs, 396 RBIs, and an OBP or .320. Now what does he do? One thing that is taking up some of his time is trail and ultra running. Eric explains how his experience in MLB has helped him in becoming a passionate trail runner. "The tipping point is that magic moment when an idea, trend, or social behavior crosses a threshold, tips, and spreads like wildfire". Malcolm Gladwell's best-selling book published in 2000, "The Tipping Point: How Little Things Can Make a Big Difference" can translate in to our sport. Andy Jones-Wilkins and Zach Bitter join The Nation to discuss what some of these little things are and some of the people that have been influential in making trail and ultra running more popular. Pam Reed recently broke her leg. Our East Coast Executive Producer and Headmaster, Andy Jones-Wilkins, joins The Nation to discuss what it takes to make a comeback from injury, in a race, from professional setbacks, personal relationships, etc. Pam's previous podcast: "Visualization and Leaping Out of Your Comfort Zone with Pam Reed"
Pam Reed's book, "The Extra Mile"
Check out the TRN Store for great holiday gifts for you or your runner. 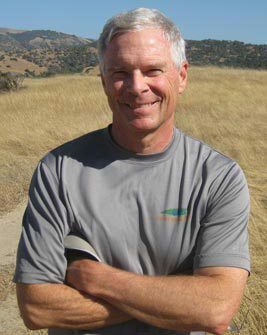 Gary Dudney is a prolific writer and can be seen in "Ultra Running Magazine", "Trail Runner", "Runner's World", "Running Times", and others. He has run over 200 ultras and 50 Hundreds. He joins The Nation to explain what he has learned over the years, especially how to find joy in the journey of running. The Book: "The Tao of Running: Your Journey to Mindful and Passionate Running"
his "10 essentials for safe backcountry adventures, trail running style"
Sally McRae is busy. She called, we agreed to hit record and now we have the first ever TRN "Phone-Cast" with Sally. Joe's Ultrarunning Magazine's November article, "Central Governor and Stride"
Joe's IRunFar article, "The Western States Killing Machine, Part Two: The Marble in the Groove"
Uhan Performance - get a running gait analysis! Meghan Arbogast has been running for over 30 years and continues to be competitive with other runners that are 1/2 her age. She seems to be getting faster! She joins The Nation to discuss how she got into running, her training regime, love for running, race strategies and her favorite Taco Bell menu item. New Yorker article, "Meb Keflezighi, Bernard Lagat, and the Secret to Running Forever"
This is Part 2 of the Tahoe 200 Endurance Run just finished up a week ago. There were over 100 people that started this race of 205.5 miles, including our own Don Freeman. We are doing a tw0-part podcast devoted to the race report (because this is twice as long as a 100-mile race, duh). The Tahoe 200 Endurance Run just finished up a week ago. There were over 100 people that started this race of 205.5 miles, including our own Don Freeman. We are doing a tw0-part podcast devoted to the race report (because this is twice as long as a 100-mile race, duh). Race creator and Director, Candice Burt, joins us with Donna Ní Cuarta, a volunteer that flew over from London. Registration for the 2017 Tahoe 200 opens on November 5 at 9:00pm PST at Ultra Sign Up or link to the registration page from the Tahoe 200 web site. Is the 10% rule for everyone? Consistence is the "secret sauce"
What are Strides? and how can they help you? "Things turn out best for the people who make the best of the way things turn out"
That is one of John Wooden's quotes. He would have been a great ultra running coach. John's great niece, Kelley Puckett, joins The Nation to discuss Jimmy Dean Freeman's race report from the 2016 Badwater 135 mile race. Why Would You Consider an Ultra Event? 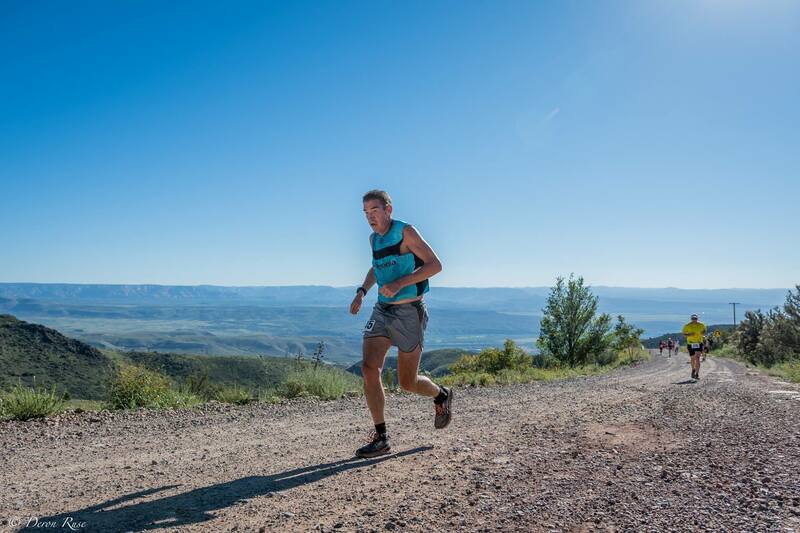 Lee McKinley, a well-accomplished ultra runner and tri-athlete, lends his wisdom to the podcasts as we discuss why we choose to go to the next level. Lee is competing in his third Ironman Kona in this October and talks about how his training has changed over the years. We also pressure Don into signing up for the Tahoe 200 mile race in September. Race Director of the Tahoe 200 Candice Burt joins the discussion. Running 200 or Directing 200 which one is easier. You will have to decide after listening. Mark Johnson has been around the endurance community as a participant and as a reporter and photographer. 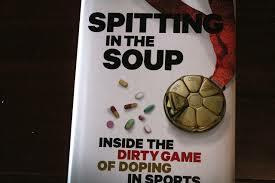 He shares with The Nation his new book, "Spitting in the Soup - Inside the Dirty Game of Doping in Sports". In this book, Mark teaches us about the history of performance enhancing drugs in sports. Doping has been around for a long time, for many reasons, but only recently banned. Take a listen to this podcast and then go read the book. It will give you a much more informed perspective about drugs in sports. Victor Ballesteros is an accomplished trail runner that has evolved into starting his own business, Victory Sport Design. Victor has developed some strong opinions on how to be a good pacer from his experience as a racer and pacing many of his friends. A few years ago he penned a great article on pacing, "The heART of Pacing". He joins The Nation to discuss his experiences and wisely teaches us how we can prepare to help our runners perform at their best. Check out Victor's Band, Voodoo Switch! This podcast closes with one of their songs. FUNK OUT! Endurance athlete and coach, Travis Macy, rejoins The Nation to expound on his book, Ultra Mindset. We take the lessons learned from ultra running and translate them in to life: business, relationships, parenting, etc. The book is available at most book outlets including Amazon and available to listen on Audible. Coach Jimmy Dean Freeman, founder and coach of the SoCal Coyotes running group, joins The Nation to do a preview of the 2016 running of the Badwater 135 mile race. JDF talks through the history of this race that routes from the lowest elevation to the highest elevation in the contiguous U.S. This will be Jimmy's second running of the grueling run. He teaches us about his training plan and his crew and pacer strategies. Check out JDF's podcast, "Do Inspiring Sh*t"
Jim Walmsley was attempting his first 100 mile race at Western States in 2016. Shortly after the start, he captured and maintained the lead for the first 92 miles extending his lead by nearly 50 minutes AND on pace to break Timmy Olsen's course record. But then the unthinkable happened, he missed a turn and ran 2-1/2 miles in the wrong direction. Jim joins The Nation to talk about his preparation for the race, his strategy, his execution and how he finished the race. 2016 Western States is in the books. Like every year the race treats us to a number of stories. The trail is the stage for tales of racing for the Top Ten positions, racing the cut off or simply completing an epic challenge. Join Andy Jones Wilkens and Bethany Patterson (F7) as we discuss some of the moments that make this 30 hours so special. His 9-month journey from hip surgery to his lean preparation for Hardrock 100 in less than 1 month. AJW's "Intriguing Stories at the 2016 WS100"
Tim Tollefson is joins The Nation to talk about his rise from a local cross country athlete to 2014 USA 50K Trail National Champion, finishing 2nd at the 2015 Courmayeur Champex Chamonix (101K) and team member of the Nike Trail Team. He leaks his Simple Rules to performing at a high level and his success. Sally McRae sets out on the WS100 trail for a simple 15 mile out and 15 mile back and ends off course. Crawling through brush, standing an a ledge with a 50 foot drop, melting snow to hydrate, rock climbing and riding a tram was NOT part of the original plan. Fresh off the trail and straight to the microphone we hear first hand of "What happened out there Sally?!!" Wish you were tougher mentally? Tough enough to achieve some goals that may throw mental or physical road blocks in your way? Dr. Duncan Simpson is Assistant Professor in Sport, Exercise, and Performance Psychology and is the Coordinator of the Undergraduate Sport, Exercise and Performance Psychology Program. He joins The Nation to explain how research has uncovered 10 ways you can become mentally tough. Here is our first podcast with : "Getting in Your Head"
Keira Henninger is a Mom, elite ultra-runner, race director, nutritionist, coach and amateur chef. Whew! She joins The Nation to talk about her struggle, diagnosis and recovery from adrenal fatigue. You can read more about her story HERE. She praises her Doctor, Dr. Alex Tuggle for listening and showing her a path to repairing her adrenal glands and return to the activity level she loves. This is the first in the series of podcasts talking about SIMPLE RULES. Let's face it, trail and ultrarunning can be very complex, especially when the adrenaline is pumping, the legs and mind are weary, or the sun sets on a early morning start. Kathleen Eisenhardt, a professor of management science and engineering at Stanford, explains the advantages of developing simple rules for life and business in a podcast that we recently listened to. We extrapolated her premise to the sport we love. iRunFar.com has been entertaining and educating trail and ultrarunners for 11 years. Founder, Bryon Powell, joins The Nation to discuss his latest book, co-authored by Meghan Hicks, "Where the Road Ends: A Guide to Trail Running" Meghan and Bryon rely on their decades of trail experience to help the beginner and the veteran trail runner excel and enjoy the trail more. Find more information about "Relentless Forward Progress"
Warren Pole reporting on his 3.3 Lessons Learned from the 33 Shake American Tour. Friends Don't Let Friends Over-train? The Nation's East-Coast producer and favorite headmaster, Andy Jones-Wilkins, joins a lively discussion on over training. 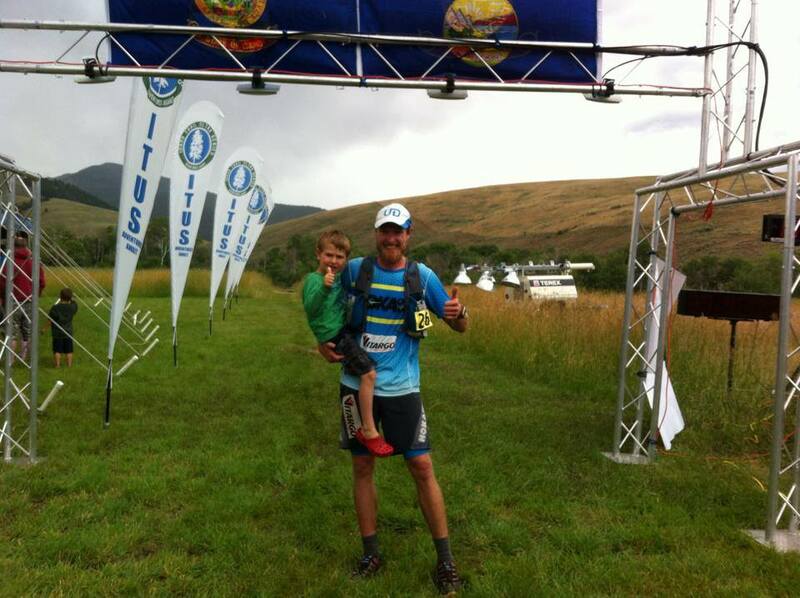 Author, nutritionist, endurance athlete and coach,MattFitzgerald, joins The Nation again. Mattrecently competed in the grand daddy of them all, Boston Marathon,again just a few short weeks after completing his first 50-milerace, American River50, We discuss his transition to 50 and itrolls into what is different between a marathon and 50 miler. Check out Matt's DQS App. Here is the link to his latest book, if you haven't read hislatest book, "How Bad Do you Want It?Mastering the Psychology of Mind over Muscle"
Warren and Erica Pole, co-founders of 33Shake (no, not a European dance move), join The Nation on their North American adventure tour to educate us on the nutrition industry and introduce us to their revolutionary new gel. This face to face interview in Studio G to talk about their tour, how 33 shake can help your performance, and some of their experience on the tour thus far. Every runner has a mentor. Dan Williams is a mentor for more people than he realizes. Imagine your training partner is Ann Trason, as you work through strategies to negotiate a 100 Miles through heat, hills and miscellaneous chaos. After countless miles, mishaps and success you end up with some serious trail knowledge. Now imagine sitting down and talking to them. One wearing a 2000 mile silver buckle and the other, owner of a a-one-of-a-kind 1000 Mile silver buckle converted by WS into a bracelet. Dan and Ann drop some of this knowledge on this podcast. This is one for the archives. Thank you Dan and Ann! Special co-hosts Sally McRae and Ann Thilges. Is It More Than Running? We start with the premise, "There must be more to this, it can't be just exercise." We hear takes from guests Ann, Zach, Mike and Karis. We love to run. What else do we love about our sport? Has your crew or pacer ever stretched the truth to get you to perform better? Have you ever wondered if you could push yourself just a little bit more? Matt Laye is an endurance athlete and PhD in medical physiology and an assistant professor of health and human performance at The College of Idaho. In his recent article in Ultrarunning Magazine, Matt explains that our mental potential might still be underestimated. Trail Runner, Model, film maker, adventure seeker, Whitney Powell joins The Nation for a rookie stab at our favorite podcast: Drop Bag. As you will see, she quickly passed us and lead the pack to a strong finish. Don also brings a new spin to the podcast. A "picture is worth a thousand words"
You can hear Whitney on her podcast, Women In Sports Podcast (WISP) or after April 1st on Jimmy Dean Freeman's new podcast - stay tuned for more information. We have done many podcasts regarding a low carb, fat-burning diet. Sage Canaday joins The Nation to offer a counterpoint. Sage Canaday is a world-class successful athlete that prescribes to a high-carb lifestyle. Sage has been an ovo lacto vegetarian for most of his life and has transitioned into a traditional vegetarian with whole foods. Find out how his experiment of one has fueled him to top performances and relatively little over-use injuries. Over the last few years, there have been a surprising increase in the number of films about trail running. These films help capture the culture of our sport. Film-maker, Myles Smythe and film festival organizer, Robert Rhodes join The Nation to speak about this phenomenon. We are also graced by the always entertaining whit and wisdom of ultra running's only Andy Jones-Wilkins. Join your trail tribe at an upcoming screening at one of the many Trails in Motion events. Treat yourself to This Is Your Day, by Myles Smyth. 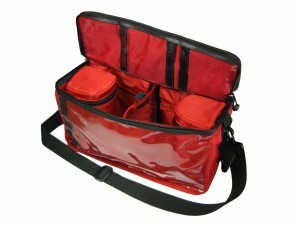 If you enter the coupon code, WeAreNation, you will receive a discount. What's in a Trail Name? Pardon me, madam, but do you happen to have any Lime Gu? Our favorite British corespondent, Warren Pole, joins The Nation to talk about nutrition and the small cottage industry he and some mates started. 33 Shake is high-nutrition food that deliver a difference you can feel. Born from his desire to feel better and fuel more effectively, Warren discusses the low-quality of the many current sports nutrition products and how 33 Shake is different. And finally, it is available in the United States! SHOP HERE If you enter the code, "TRN33" you will receive 10% off your order. What is Insulin Resistance and why is it important? What is the best way to lose and maintain weight? Does the calories in / calories out method of weight loss work? How can your diet help you with your cholesterol levels? How much does your genetic background play in your weight and health? Can we manage risk factors for certain diseases by what we eat and manage insulin levels? Can athletes have insulin sensitivity? Visit The Natural Running Center for a TON of additional information. The Trail Running Tribe is a unique community. We are tied together by our shared experiences and the relationships formed from adversity and achievement. Stephen was a member of the trail-running group Wasatch Mountain Wranglers. An experienced ultra runner, completing distances from 50 to 200 Miles. He was also an experienced skier. On Sunday January 31st in Park City Utah, Stephen went skiing and was caught in an avalanche. He was located on Tuesday morning. We pay tribute to Stephen in this special podcast episode. We encourage the Trail Running Community to meet up at the Trail Head Go Fund Me. He is survived by a wife and two small children. Zach Bitter's 402.5 laps around the track at the Desert Solstice Track Invitational held in Phoenix AZ in 11 hours, 40 minutes and 55 seconds is enough to capture the New American Record. Keep in mind, the record he broke was his own. Zach averaged a 7:00/mile pace. This remarkable pace includes anytime needed to stop and refuel, gear change, problem solve and anything else that can pop up in 100 miles. Join co-hosts Ann Trason and Sally McRae as we talk about fast times, pure running, fat adapted athletes and much more. Candice Burt proves that experience and execution are two key ingredients if you want to stand on the podium at the finish line. HURT100 is legendary for challenging even the toughest of Ultrarunners. Candice seems to enjoy the 100 mile distance as long as you add crazy climbs, mud, slick rocks and humidity. You can find Candice's blog at WildDefined.com Discover her artwork and poetry. On the podcast Ian and Don had a gentleman's disagreement: Ian accused Don of referencing unreliable DATA to support his erroneous claim that ultrarunning is a shrinking sport. Ian, on the other hand, sites UltraRunning Magazine as the most reliable warehouse of archived trail data: illustrating a healthy and expanding sport. After careful review following the podcast, including comparing finishing times between Ian and Don, Ian position clearly won the day. Ultrarunning is a thriving sport.